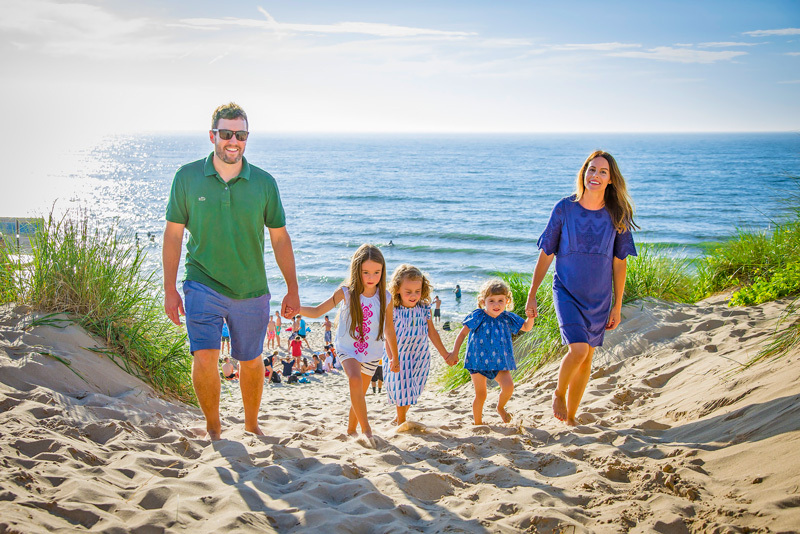 If you time it just right, you can catch this Lake Michigan hot spot with no worries about finding parking spots, hotel rooms, tables or sandy picnic spots. But you’d better get there right about … now. If you know what a summertime sweetheart Holland, Michigan, is, you’ll (reasonably) assume that the place is slammed with vacationers from spring’s Tulip Time Festival (tuliptime.com) clear through Labor Day. 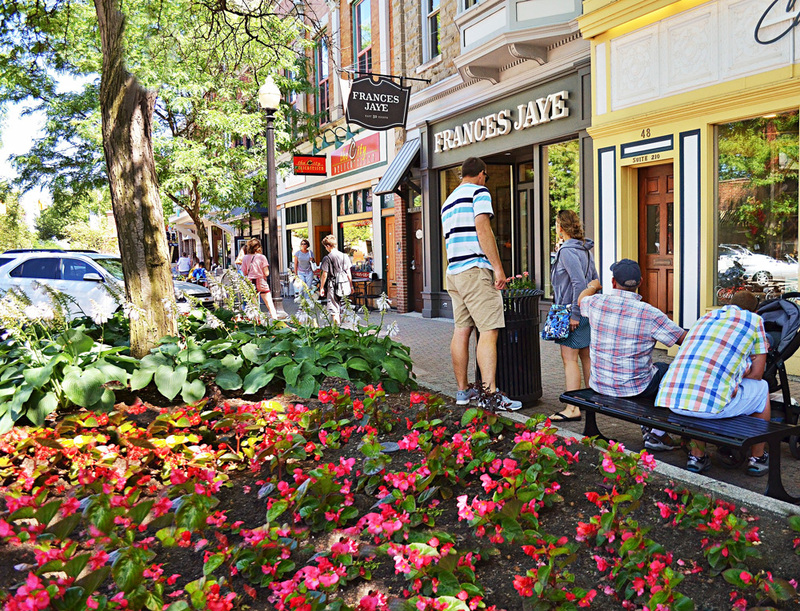 The western Michigan destination checks all the vacation boxes: Lake Michigan beachfront, a connected inland lake and downtown shops and restaurants. When Tulip Time marks the town’s emergence from winter in early May, hundreds of thousands of visitors arrive for eight days of Dutch tradition. But when the wooden shoes go back on the shelf, the parking lots clear. The lines vanish. The reservation books breathe. And that signals the start of Holland’s secret season, a roughly six-week window when Holland (a town of about 35,000) feels positively roomy compared to the prime weeks between July 4 and Labor Day. Grassy dunes at Tunnel Park provide plenty of spots to spread a blanket near Lake Michigan. Photo by Blaine Moats. So if you’re up for an early-summer escape, watch the forecast for a gorgeous weekend, then head to the beach, kick off your shoes, stroll to the water’s edge and … think twice. That’s the one catch. In late May and early June, Holland’s stretch of Lake Michigan still hangs around a chilly 50 degrees (compared to the 70-degree water typical of late summer). But it’s not too early for canoeing, kayaking or touring on a stand-up paddleboard on a calm, sunny day. A pro at a local outfitter, such as The Outpost of Holland (hollandoutpost.com), can equip you with knowledge and gear for the journey. And as the days stretch to 15 hours of sunlight by the solstice on June 20, you’ll also have plenty of time to explore forested dunes, meander 50 miles of winding trails and boardwalks, or soak up rays with elbowroom to spare on the beach as highs move from the low 60s of early May to around 80 by the end of June. That’s the real magic of this moment. Come July, you’d spend your time waiting for a table at hot spots like New Holland Brewing (newhollandbrew.com). 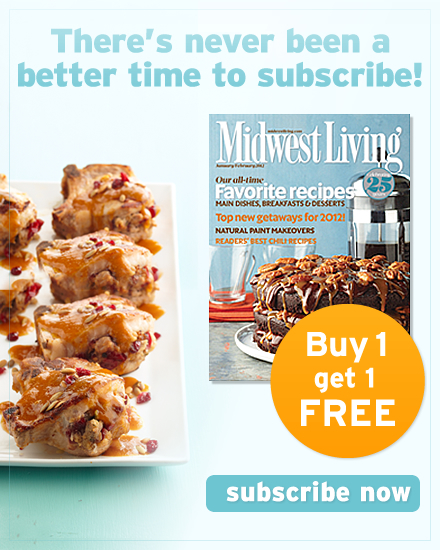 But during the secret season, Holland is mostly your personal Dutch treat. 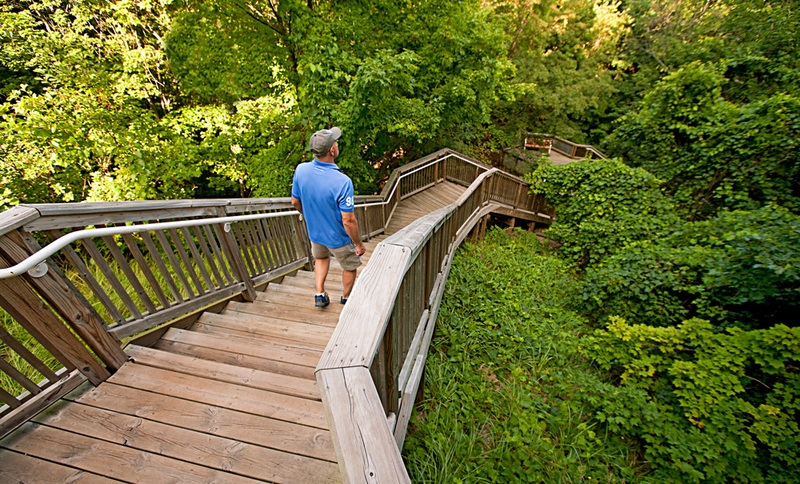 Take a deep breath and tackle the 239 stairs to Mount Pisgah near Holland State Park (michigandnr.com). The payoff for completing the climb to the top of the dune: sweeping views of Lake Michigan, inland Lake Macatawa and Holland’s iconic Big Red Lighthouse (www.holland.org). Mount Pisgah steps. Photo by John Noltner. 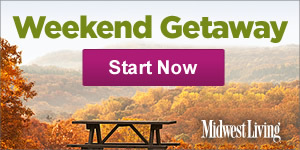 Below, Black Lake Boardwalks (miottawa.org) offer lakefront strolls and prime fishing spots. 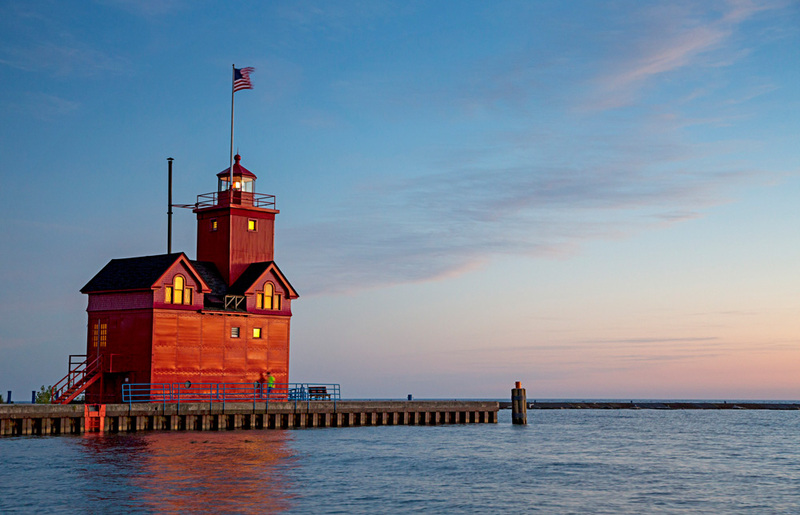 Nearby is the entrance to Holland State Park and its massive Lake Michigan beachfront. Three miles north, Tunnel Park (miottawa.org) offers a killer photo opp as you walk through a dune into lake views. The hilly beach dotted with dune grass makes a perfect picnic spot, especially if you need shelter from a cool breeze. Big Red Lighthouse. Photo by Blaine Moats. Rent a paddleboard from a local outfitter to explore local waters. 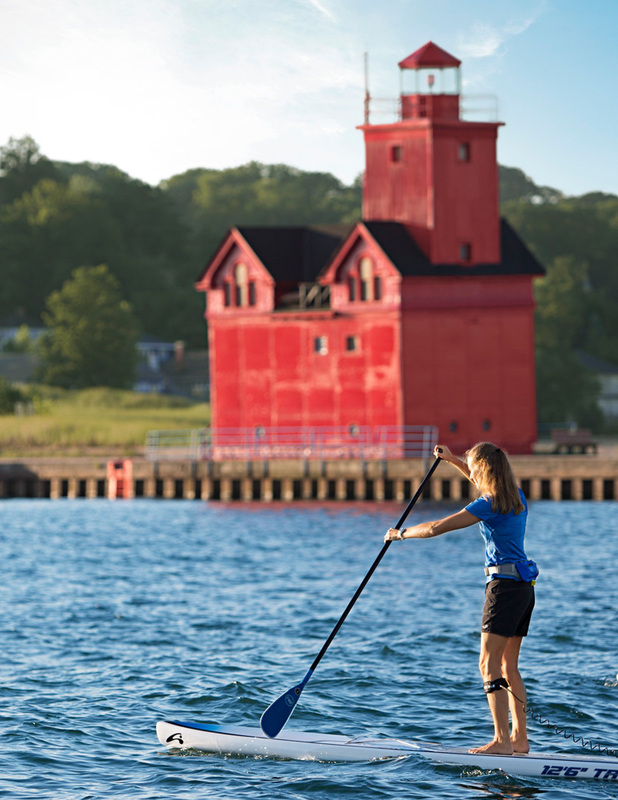 If you’re an experienced paddler, pass through the channel connecting Lake Macatawa to Lake Michigan to see Big Red lighthouse up close. Paved bike trails usher cyclists from Kollen Park (cityofholland.com) near downtown Holland all the way to Lake Michigan, with glimpses of Lake Macatawa along the way. (It’s about a 6-mile trip.) Businesses such as Velo City Cycles (velo-citycycles.com) have bikes for rent. North of Holland, the 10-mile Riley Trails (miottawa.org) network winds through a beech-maple forest and former red pine plantation. Scarlet columbine and purple violets sprinkle the forest floor in spring. At the Upper Macatawa Natural Area (miottaway.org) east of Holland, an easygoing multiuse trail leads to an observation deck, where you can watch for nesting goldfinches, bluebirds, egrets and red-tailed hawks. On the road from Holland to the beach, stop at de Boer Bakkerij (deboerbakery.com) to fill up on crusty European hearth breads, Dutch mocha tarts and crisp, buttery krakelingen cookies created under the purview of fifth-generation Dutch bakers. The adjacent restaurant offers breakfast and fresh-roasted coffee daily and lunch on weekdays. Crane’s in The City (cranesinthecity.com) is the downtown offshoot of a nearby family-owned orchard offering diners all things apple. Check out the City Cristo sandwich prepared on apple-butter bread, cider doughnuts, and Johnny Applefreeze cider slushies, as well as strudels, dumplings, crisps and pies. The tasting room at Coppercraft Distillery (coppercraftdistillery.com) offers seasonal cocktails mixed with house spirits and ingredients from local growers and producers, plus several whiskey varieties. 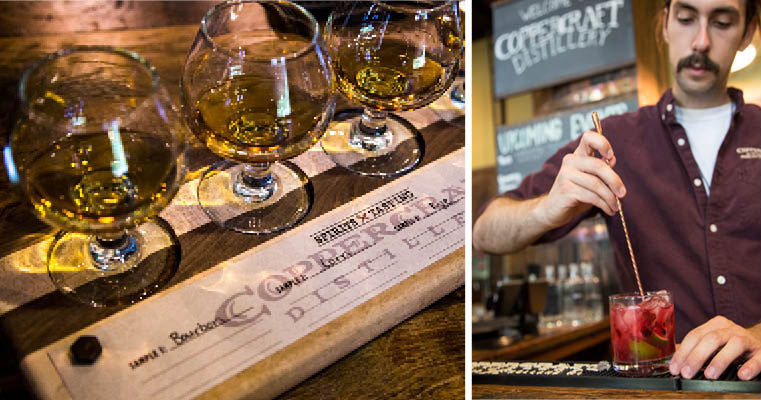 Distillery tours and other events abound. Lemonjello’s Coffee (lemonjellos.com) pours lattes to fit your mood. Choices include Invincible (chocolate and blackberry), Nonchalant (white chocolate and caramel) and Buzzed (local honey and vanilla). Handcrafted sodas and bakery goodies like shortbread and cinnamon rolls round out the menu. 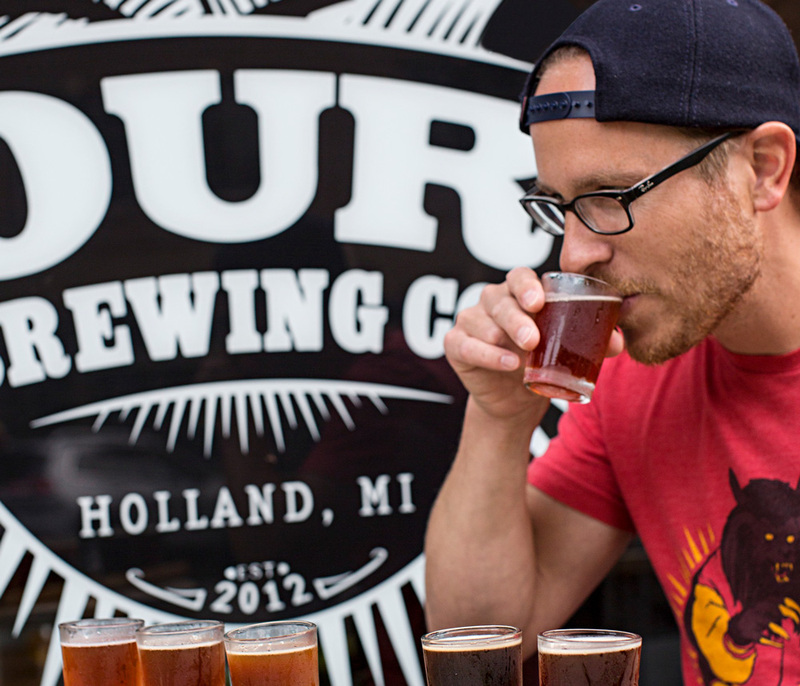 Downtown’s Our Brewing Company (ourbrewingcompany.com) uses local ingredients to craft small-batch beer with names such as The Bearded Lady and Grandpa D’s Lager. 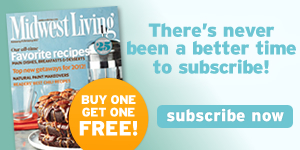 OBC offers daily specials and activities like bingo and trivia night, plus live music on Fridays. Our Brewing Company. Photo by Blaine Moats. CityFlatsHotel’s (cityflatshotel.com) downtown location puts visitors within easy reach of restaurants and shopping or parks and trails. Its sleek, eco-chic vibe comes from cork floors, bamboo bedding and floor-to-ceiling windows. Dowtown Holland. Photo courtesy of Holland Area Convention and Visitors Bureau. Green space and flower gardens welcome spring at Haworth Inn (haworthinn.com), and guests play for free at the indoor Holland Community Aquatic Center, with its twisty slide, zipline and floating obstacle course. Vintage and new rental cottages—some with beach access to Holland State Park—fill up early for high summer, but you can still grab last-second openings for May and June. The Holland Area Convention and Visitors Bureau keeps a daily log of hotel availability, and staffers are available year-round during business hours seven days a week to help you find a place to stay (holland.org).